Ullr looks to reward us over the next seven days as he sends a series of storms barreling toward the Sierra. 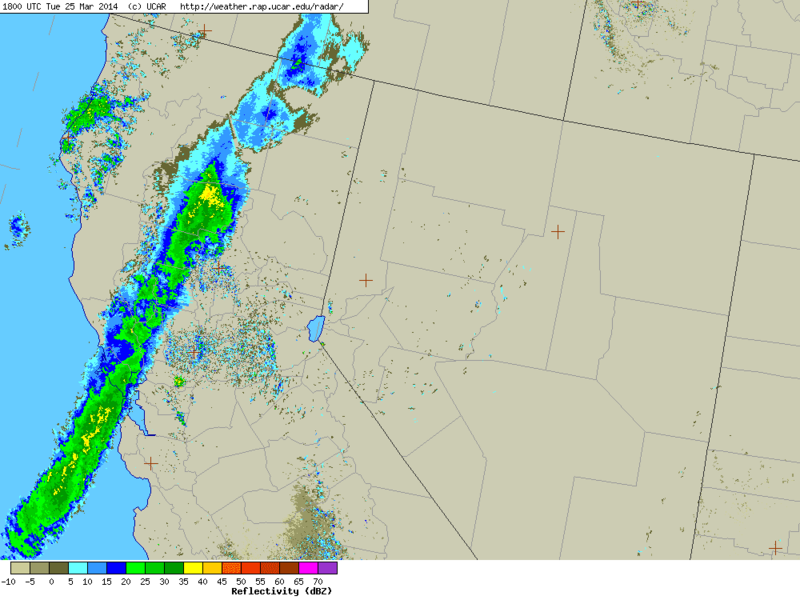 The first of these storms is currently driving a cold front through the Central Valley as is visible on radar. Moisture looks to be limited behind the initial surge of cold air as can be seen by the thin band of showers on the radar. However, still expect some high elevation snow this afternoon with the initial frontal passage before things dry out a bit overnight. Cold air will continue to filter into the Sierra overnight, dropping snow levels below the Lake by dawn. The real action begins tomorrow around daybreak as increasing moisture and upper level support combine to produce widespread Sierra snowfall. Models have shifted the best dynamics a little farther to our south than in previous runs favoring the Mammoth Area. This means the lift over the Tahoe area will be weaker than previously anticipated. Weaker lifting reduces the amount of moisture that gets wrung out of the column. Ultimately, reducing snowfall amounts for the Tahoe Basin. However, the best moisture remains over the Lake and points to the north, still keeping the higher snowfall totals in our neck of the woods. High resolution models are still producing 1.5 to 2.5 inches of liquid equivalent over the crest with lesser amounts to the south. 24hr accumulated liquid precipitation (in inches) from tonight at 1700PDT through tomorrow at 1700PDT. Models are also prolonging the event with moisture drying out more slowly on Thursday. Even with weaker dynamics in place, still think original snowfall forecast is on track with: 18-24" along the crest, 12-15" mid-mountain and 4-8" at Lake level. Upper limits are a bit optimistic but cannot rule out some pockets of heavier snow due to decent instability and the possibility for isolated snow squalls. The next round of snow looks to impact the Tahoe Basin Saturday night with another system possible on Monday night. Model depicted 500 mb vorticity or spin, with maxes denoted by crosses over the Pacific at 1100PDT Wednesday. Check out the next two storms of the series, with the first underneath the base of the Aleutians and the other, moving south of Kamchatka.